US-based healthcare packaging provider Nelipak has acquired thermoforming company Computer Designs, for an undisclosed amount. The acquisition is a part of Nelipak‘s plan to expand its presence in the healthcare markets in North America, Puerto Rico, the Dominican Republic and other Caribbean regions. Computer Designs will now operate under the brand name of Nelipak Healthcare Packaging. 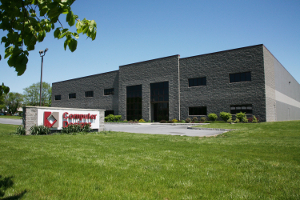 Furthermore, Computer Designs’s current workforce has been transferred to Nelipak. Computer Designs is engaged in manufacturing thermoformed rigid packaging including trays, clamshells, and blisters primarily for the medical market. With manufacturing facilities in the US’ Pennsylvania, North Carolina, Arizona, and Puerto Rico, Computer Designs currently serves various medical device and pharmaceutical companies across the US and Latin America. Nelipak said that Computer Designs, under the Nelipak Healthcare Packaging brand, will further develop its thermoformed packaging products and service capabilities for the healthcare market. The deal also allows Computer Designs customers to access Nelipak’s design teams and modern cleanroom manufacturing throughout global locations. In July last year, the company acquired Sonoco Products Company subsidiary Tegrant Alloyd Brands of Puerto Rico (TABPR). TABPR produces thermoformed rigid packaging mainly for the medical device and pharmaceutical companies in Puerto Rico and Dominican Republic. The company currently operates under the brand name of Nelipak Healthcare Packaging. Image: Computer Designs Incorporated office. Photo: courtesy of Nelipak Healthcare.